GM 3688 - Built powerful! 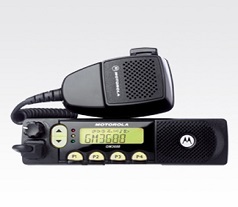 The ruggedly-built Motorola GM3688 is ideal for construction, taxi, courier and manufacturing industries. Equipped with superb audio quality, 8-character alphanumeric display, PTT ID function, 64 channels and a wide range of accessories, the GM3688 is made to grow with your fleet. 8-character alphanumeric display with icons for quick identification of radios status and incoming calls. LED status indicator allows clear indication of radio's operating status. 4 Programmable buttons provide users convenient access to the most frequently used functions. 16 pin external accessory port or optional board interface allows easy expansion of radio’s capability. Supports MDC1200, DTMF and Quick Call II signaling standards. 64-channel allows users to independently program each channel for their customised needs. The mobile offers voice compression and powerful 4W front firing speaker for maximum audio clarity.